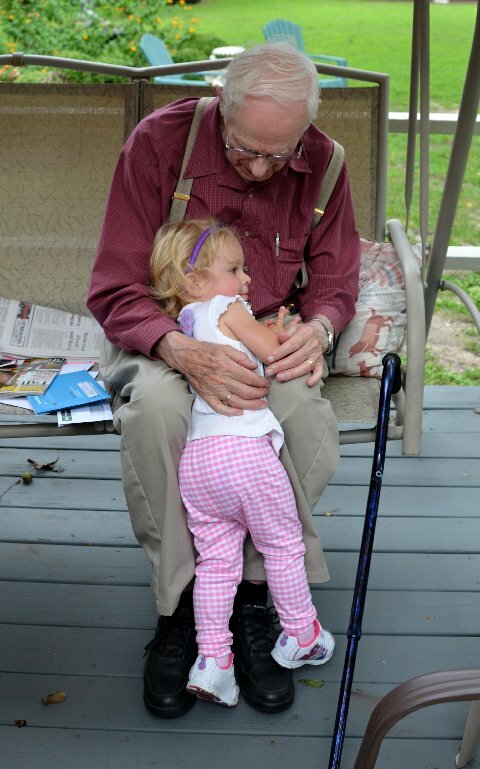 This is Motor Man’s dad with great-granddaughter, Livy. The picture was taken last week by Motor Man’s sister, Carolyn, who was kind enough to allow me to feature it on today’s post. I’m so glad Carolyn captured this moment. We all know that times such as these pass much too quickly.